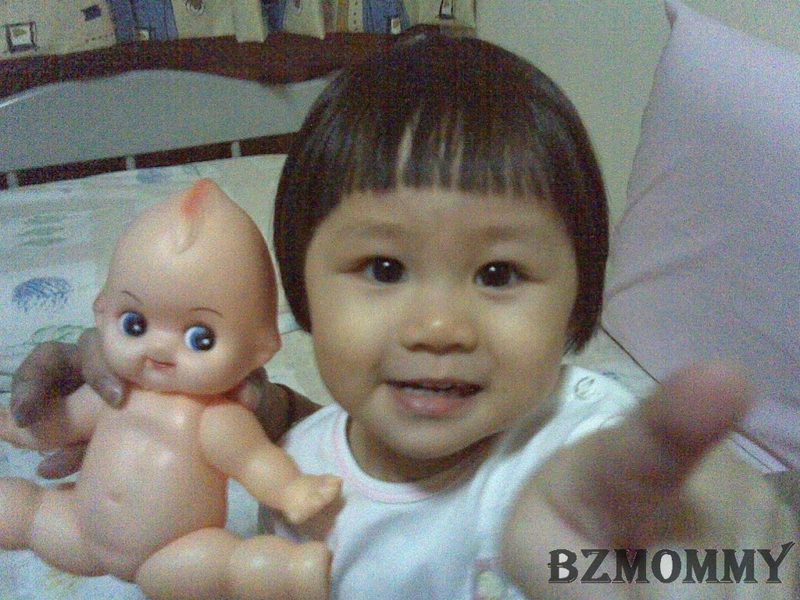 Dawn has reached the stage where she started to show interest with dolls and cute soft toys. When she was a few months old, soft toys had no effect on her. She showed no interest on them and will always reach for other toys first. I bought her a bath tub play set the other day and inside the play set, there’s a naked doll inside. She loves the doll and will bath and feed the doll milk (with the fake milk bottle of ‘cos!). Managed to capture this shot and I love it! Nice Shot! My Shiloh loves her dolls too! That’s all she ever wants to play with. Cute picture!